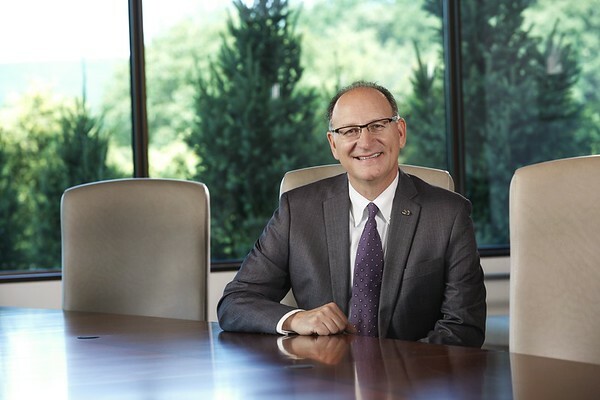 NEW BRITAIN - Richard A. Leone has been named to the American Savings Foundation Endowed Chair in Banking and Finance at Central Connecticut State University. Leone is chief executive officer of COCC, a financial technology company based in Southington. A CCSU graduate, he has 25 years of experience at COCC, the past 15 as CEO. Leone, who was chosen after a national search over many other candidates, will have a one-year term. He was unanimously endorsed by the hiring committee as the best qualified candidate. He will teach an upper-level course in finance, encouraging research, curriculum development and interaction between academia and outside institutions, while also bringing in special lecturers and working with faculty and students on research projects. COCC’s revenues tripled under Leone’s leadership, according to the release. The company also established a reputation for responsive customer service and is consistently rated as a “top workplace” in the state. In 2015, Leone was recognized as a “top leader” in the midsized companies category by the Hartford Courant Top Workplaces program and, in 2017, COCC was named the No. 1 Top Workplace in Connecticut in the midsize category. The chair was created in 2003 with a grant from the American Savings Foundation, a permanent charitable endowment that provides grants to local nonprofit organizations and college scholarships to area students. The foundation has contributed more than $54 million in grants and scholarships in Central Connecticut since its inception in 1995. Leone is the fourth person to hold the chair. “The fact that he is an alum, a strong supporter of the university, an employer of many CCSU graduates is just the icing on the cake,” said Colwell. Posted in New Britain Herald, New Britain, Southington Herald on Tuesday, 30 January 2018 22:27. Updated: Tuesday, 30 January 2018 22:29.